It’s tradition for me to have a huge baking day, sometimes two, in the week before Christmas so I thought I’d share with you some of the things I’m baking this year and how to do it with ease so you can give them ago if you want too. 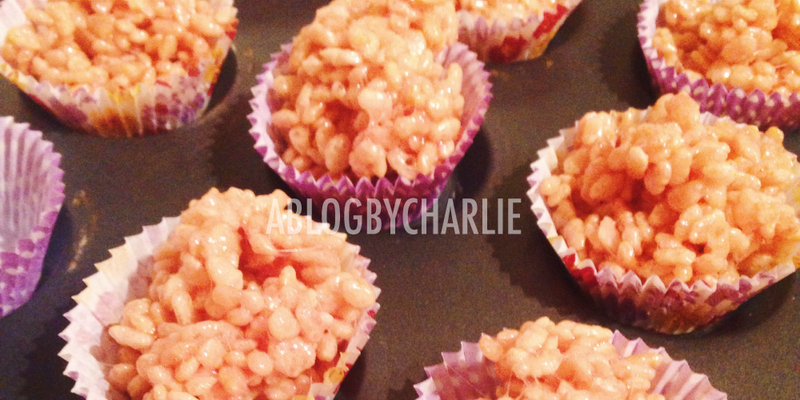 This post includes sausage rolls, mince pies, and some marshmallow crisp cakes! There is plenty to try and all are easy peasy for you to give a go. This recipe is a piece of cake. I cheated, admittedly, as I didn’t make my own pastry. Simply for quickness and ease for those following at home. I simply used Jus Roll ready to use puff pastry and small Richmond sausages. 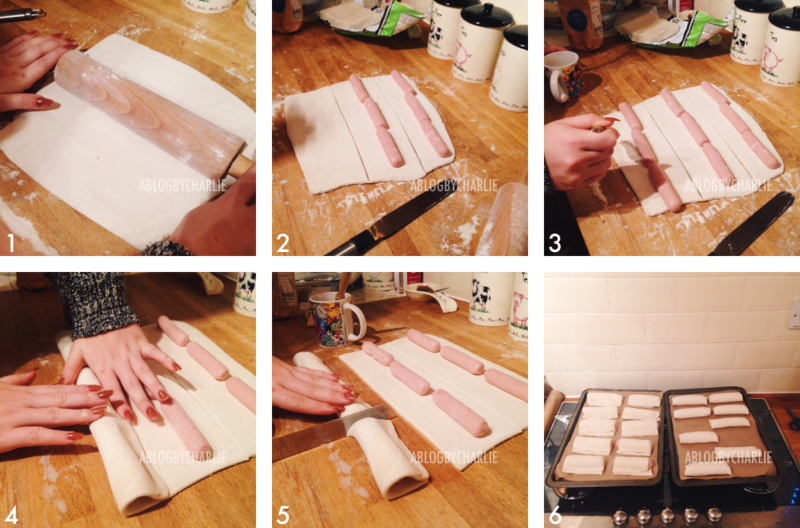 I started off by rolling out my pastry to around 3mm thick and placing rows of sausages on top. I managed to fit 3 rows per block of pastry as there needs to be room to cut and fold in a moment. I then cut my pastry rows so that the sausage is placed in the middle of each row, then line the edges with milk. Egg white can also be used, but I find milk easier and less hassle. I then roll my pastry around the sausages, connecting the edges that have just been lined so they stick together. 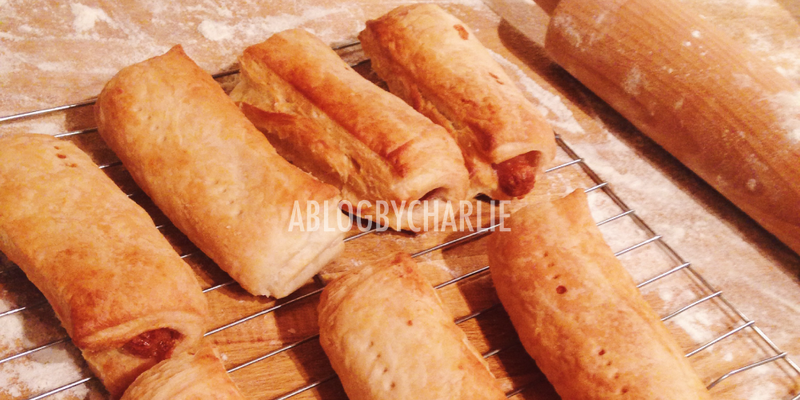 I cut in-between each sausage, therefore making nine sausage rolls with one block of pastry (2 comes in a pack). To finish off, I simply stab the top twice with a fork to let the air get to the middle and then that’s it! They’re ready to go in the oven. Make sure your oven is set to 220C (electric), 200C (electric fan) or gas mark 7 and after being in the oven for 40 minutes your sausage rolls should be perfect. Be sure to check throughout to make sure they don’t burn, but I have found 40 minutes is perfect. This is also an extremely easy recipe, and is also a very quick one too! 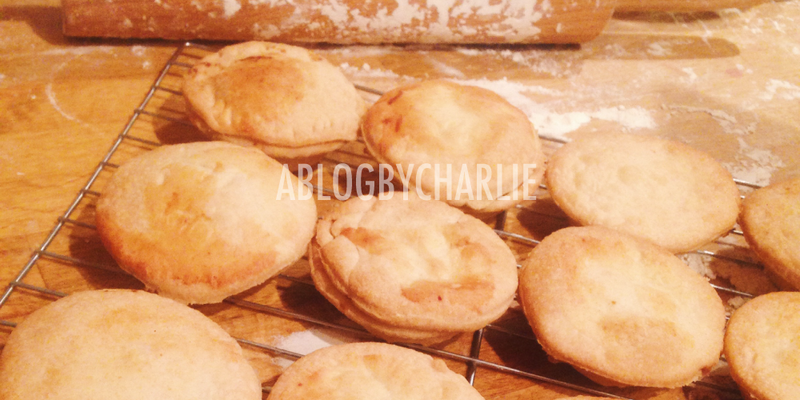 Again, all I used was some Jus Roll ready to use shortcrust pastry and some Asda own Mincemeat for the filling. To begin I rolled out a block of pastry (2 in a pack) and cut out circles using a glass, you can use a circular cutter, but they were either too big or too small for me. Make sure the circles have a diameter of around 6cm. I then placed these in a greased cup cake tray and gently pressed down until the pastry touched the bottom. 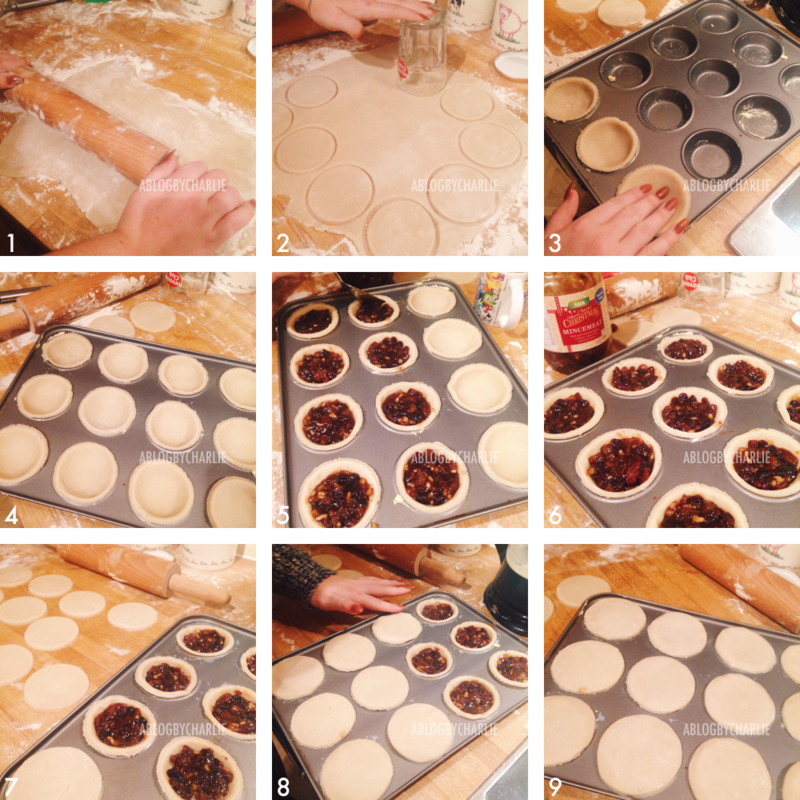 Using the Asda Mincemeat, I used a tablespoon to fill the centres of the pastry. Rolling out the leftover pastry from the first lot of circles, do the same again to create the tops. I do it so they are the same size as I don’t like them to leak everywhere. I then stick these on top lining the edges with milk to make them stick together. They go in the oven at 220C (electric), 200C (electric fan) or gas mark 7 for around 20-25 minutes, when they’re golden brown. This is really easy, and literally takes 20 minutes to make so it’s a really nice idea if you have guests coming over and want something quick to do. I started off by mixing 100g of unsalted butter and a tablespoon of vanilla extract in a saucepan until the butter had completely melted. I then slowly added my marshmallows until all 300g was in the saucepan and the mixture was smooth. I put 150g of Rice Crispies in a bowl and poured the marshmallow mixture in and began stirring together until all the Rice Crispies we’re covered. To finish off I simply separated the mixture between cupcake cases, or you can create a big one by putting it in a greased cake tin. Add decorations as you would wish, I simply added a snowflake to the top of each one. That’s it! Simple as that.